Would you try to sell a canvas or an album without a studio sample? Of course not! With such a large investment, clients need to see a product before they order it, and a large series of canvas is no exception. 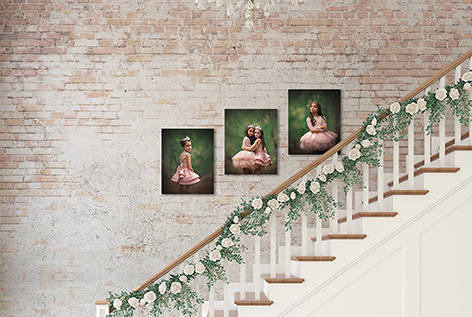 We need to SHOW them, not TELL them how amazing their portraits will look on their walls and the story that their images tell when displayed together. 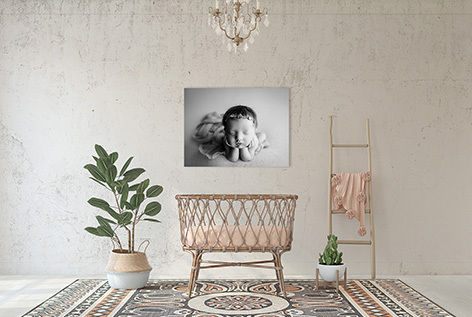 Using the powerful imagery of stunning, REAL room backgrounds, the Photographer’s Wall Display Guides take all of the guessing and mystery out of wall prints and canvases and makes it easy for you to create them and for your clients to order them! I recently received a mailer with my last press order from a pro lab pushing their holiday card templates. The piece featured a photographer saying that once he showed his clients the template designs with their images in them, his sales for cards increased from 20% to 80% of clients buying the cards! 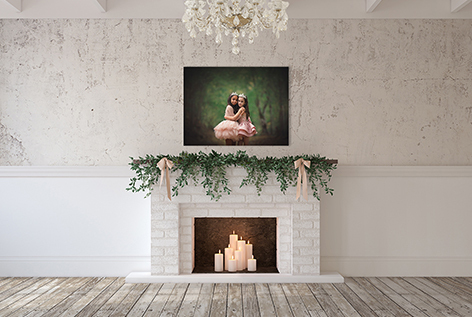 If our clients have a hard time imagining their image in a small holiday card, imagine how much harder it is to conceptualize how their photos will look in a large wall display in their homes? 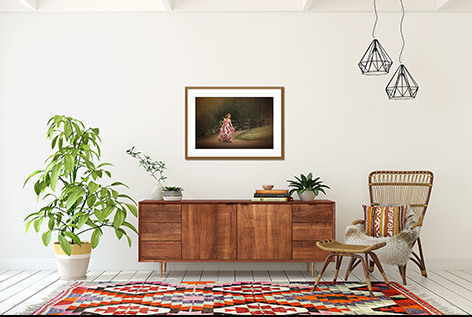 How can they know unless we SHOW them that an 8×10 over their couch will be practically invisible, but 30×40 would make just the statement they are looking for? 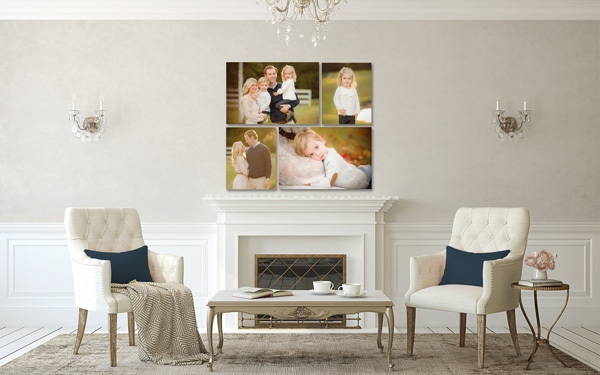 Or that a grouping of their favorite three photos are a great alternative to a single print or canvas? These templates make it possible to do all this and more! Use them in your printed or online marketing materials such as pricing guides, welcome packets, magazines, brochures and so much more! Create a page on your website or blog showing the difference in impact between a small and large image size in a REAL ROOM! Set yourself apart from your local competition – market your new ability to offer display ideas as a “design consultation service” that only you can offer to your clients! Offer an incentive or sale to your client database – great for reviving sales from past sessions during the slow winter months! 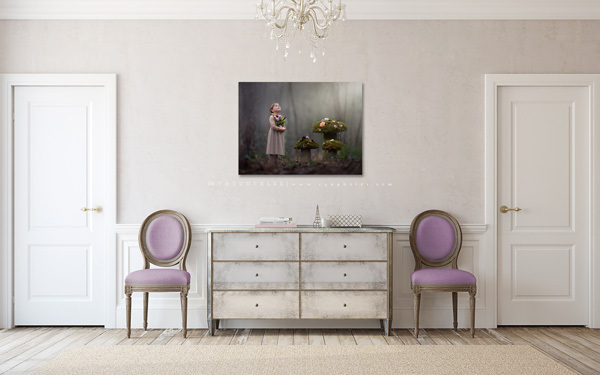 Generate blog and social media content showing your images on walls to plant the seed of a wall art sale for potential clients. Read about more product features or watch a behind the scenes tour of the templates here, or see below to order now! Click here to browse our rooms and room collections or or see below to order now! Give our four minute trailer video a whirl!